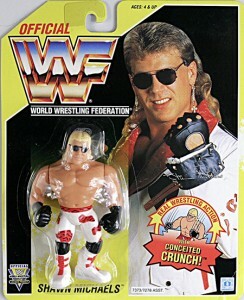 The early 1990s was a transition period for the WWF. 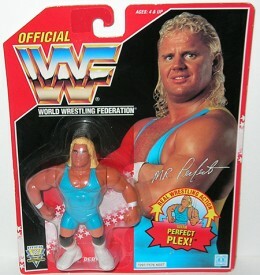 Similarly, the memorable line of Hasbro WWF figures was a transition between the popular but simplistic LJN figures of the 1980s to the more detailed lines from Jakks Pacific that carried the company through its Attitude Era boom. 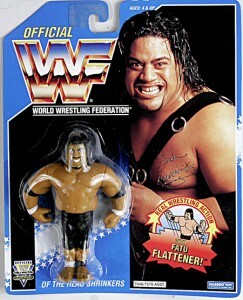 Hasbro WWF figures capture the larger-than-life personalities that inhabited the WWF at the time. They're more detailed than their LJN predecessors. They also gave fans their first taste at articulate figures. They're still a far cry from the detailed pieces produced today, even on a mass scale, but moving arms are still better than nothing. 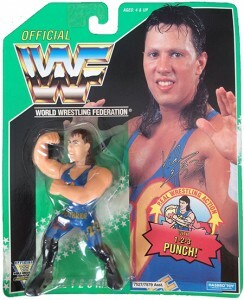 The Hasbro WWF line spanned 11 main series released between 1990 and 1994. 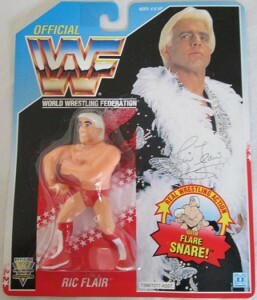 There were also special series such as the SummerSlam rereleases, tag team dual packs and accessories. 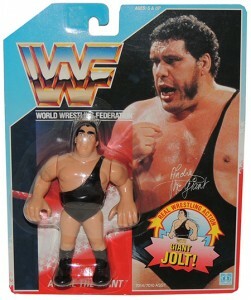 While the LJN figures are plain and can't be posed, Hasbro's take was more cartoonish. 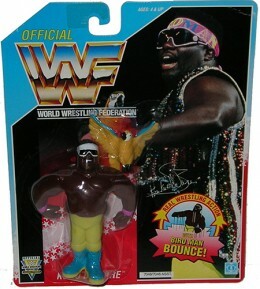 This reflects the WWF product at the time. Superstars were colorful and many could fit into just about any comic book. 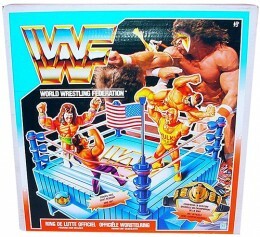 Hasbro charted the end of Hulk Hogan's initial WWF run, the rise of the Ultimate Warrior and the eventual shift in focus towards Shawn Michaels, Bret Hart and the Undertaker. Figures came packaged on a standard card. It's dominated by a photo of the wrestler and a large WWF logo. 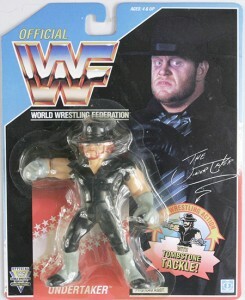 Other features include a facsimile autograph and a cartoon sketch showcasing the figure's signature move. Backs list the various figures in the particular line as well as a file card similar to what you'd find on the back of a G.I. Joe figure. The majority of series have virtually the same packaging. In later series, Hasbro started changing the card color to differentiate them. Starting with Series 7, the familiar blue cards gave way to yellow. Ensuing sets included purple, green and red. 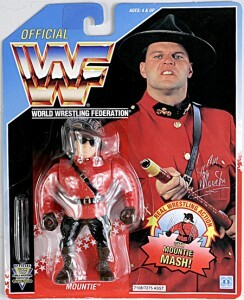 Hasbro WWF figures are most valuable when they're still in their package or mint on card. Some remain extremely affordable while others are rare and can run into the hundreds. For more casual fans, most loose figures can be found for a few dollars, especially if they don't have any accessories. 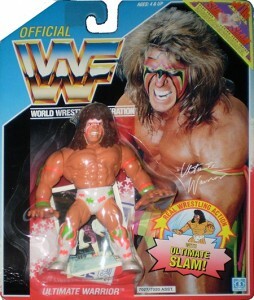 Among the most valuable figures are the Series 1 Dusty Rhodes and Series 3 Ultimate Warrior. Mail-away figures of Hulk Hogan, Bret Hart and the Undertaker are also extremely pricey. These come in a clear bag rather than on a traditional card. Prototypes used in the production process can go for huge amounts, especially if the figure didn't end up being used. 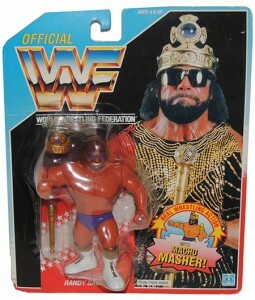 Get a look at the various lineups of Hasbro WWF figures below and by using the tabs above. If you're looking for a particular wrestler, click on the links. For wrestlers with more than one figure, we've included a brief description to know what to look for. Existing figures released on new SummerSlam cards. WWF Hasbro Series 4 Bret Hitman Hart Pink Heart RARE Vtg And Tatanka!! Rare Razor Ramon WWF Hasbro Series 7 Figure Machismo Vintage 1992 Free Shipping! Rare "Heartbreak Kid" Shawn Michaels WWF Hasbro Series 7 Figure Free Shipping! WWF Hasbro Series 10 Samu Headshrinkers action Figure 1991 rare. WWF Hasbro Blue Card BUSHWHACKERS TAG TEAM Very Rare "Never Been at Retail"
Demolition Ax & Smash WWF Hasbro Tag Team Set Vintage 1990 $1 Shipping! Earthquake Typhoon Natural Disasters WWF Hasbro Tag Team Set $1 Shipping! 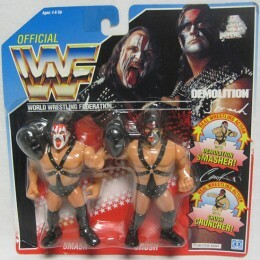 Demolition Ax, Smash & Crush WWF Hasbro Tag Team with one helmet. 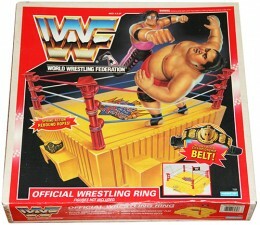 Hasbro released a handful of different rings for their WWF line. The blue ring is the most common, although these come with variations. 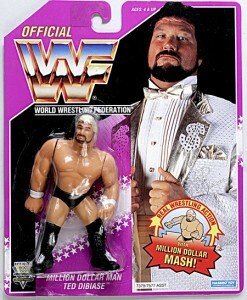 The JC Penny-exclusive with Hulk Hogan and Macho Man is the most valuable. WWF Hasbro King of the Ring Official Ring NEAR COMPLETE IN BOX SUPER RARE! Where is the checklist ??? Ralph Wiggum � Each of the tabs has checklists based on year of release. Series 11 Green card set, “Evil” Crush is missing from the list.